Asurion protection plans help keep your technology-powered life up and running. Last fall we declared “October is Protection Month” to remind consumers that their awesome lifestyles often lead to the untimely demise of the technology. Part of the campaign encouraged consumers to join with Asurion in support of another leading organization that is always there to help people get back up and running, the American Red Cross. Throughout the month of October, many consumers visited ProductProtection.com to take the “How Will Your Stuff Die” assessment, a playful quiz that predicted how your electronics would meet their untimely demise based on your lifestyle. For every participant, Asurion promised to donate $1 to the Red Cross, and we are proud to have presented a check for $25,000 to the worthy organization today. This donation will help provide support where the need is greatest, whether it is responding to a disaster, collecting lifesaving blood, teaching skills to save a life or assisting military members and their families during an emergency. 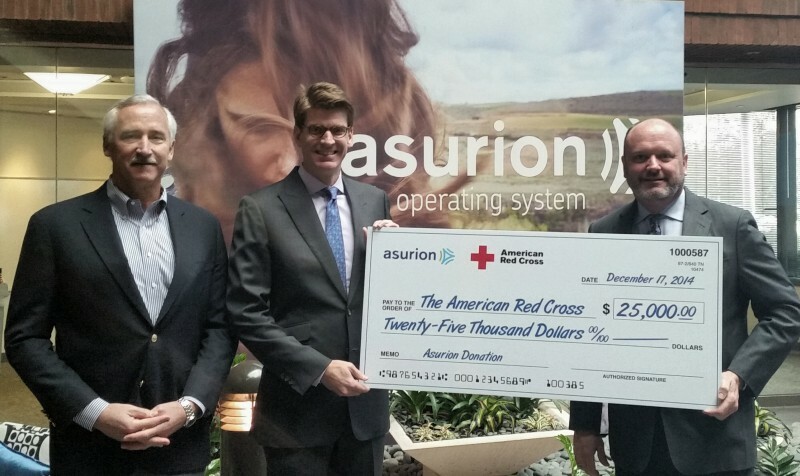 Asurion is very proud of the incredible work the Red Cross does in Middle Tennessee and around the world, and we are happy for this opportunity to support such an outstanding organization. We’d also like to thank all of you who took our quiz and helped support the Red Cross!